Well, the move is over and I'm still recovering. I am finally able to sew again, but it seems like things are moving at a glacial pace. 1. Drift Away Scrap Quilt -- At the long arm quilter, no rush to get back. 2. Magnolia Mystery QAL -- I have batting, so this can be basted once the backing is pieced. 4. Double Delight -- Thinking about sending this to be long arm quilted. 5. April Showers C2C Bee Quilt -- January UFO project -- Final border fabric has been ordered! It might not actually have been finished in January but I did make *some* progress on this quilt! Once the fabric arrives, I'll add the final border and figure out how it will be quilted. 8. Pineapple Stash Bee Blocks -- I ordered more white-on-white fabric to finish up the sashing at the same time that I ordered the final border fabric for my April Showers quilt. 11. Cubicle Quilts -- Pressed the two sewn bases I have -- one is for July, one is for August. 15. Monthly Island Batik Ambassador projects -- January was our big blog hop month! I made a new version of our Dashing to the Chapel pattern (Etsy/Payhip) with the Bazaar line. 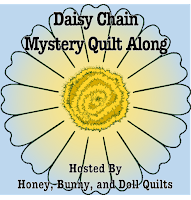 Our theme for February is mini quilts and I'll be making a mini version of my Stars at Play quilt! 16. 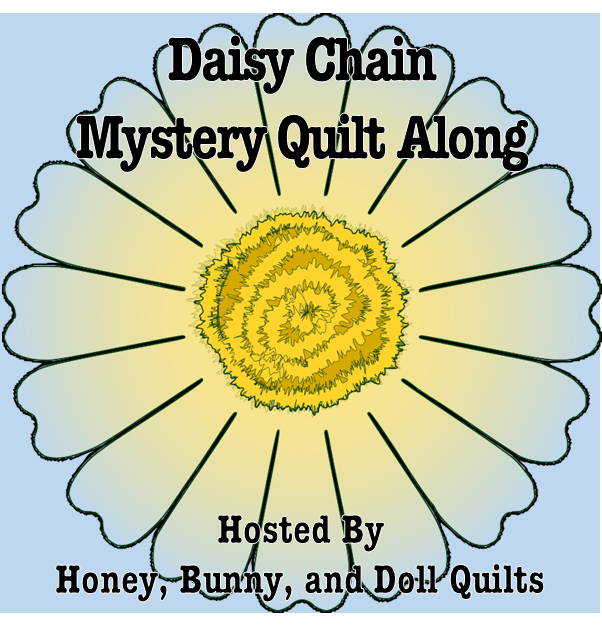 Daisy Chain Mystery Quilt -- The kick-off of the Daisy Chain QAL is MONDAY! We'll release the fabric requirements, share our fabric selections, talk about picking your own fabric selections, and adaptations to consider if you want to make your quilt more or less scrappy. January was a slow sewing month because of our move, but I did get more done than I originally expected. My UFO for January was my April Showers Medallion, which only needed fabric for the final border and I did manage to get it ordered, but it has not arrived yet. My UFO for February will be my Pineapple Quilt. At the same time I ordered my border fabric for my April Showers Medallion, I ordered some white-on-white fabric for this project. Both of these tops should be able to be finished and ready for quilting in short order once the fabric arrives. 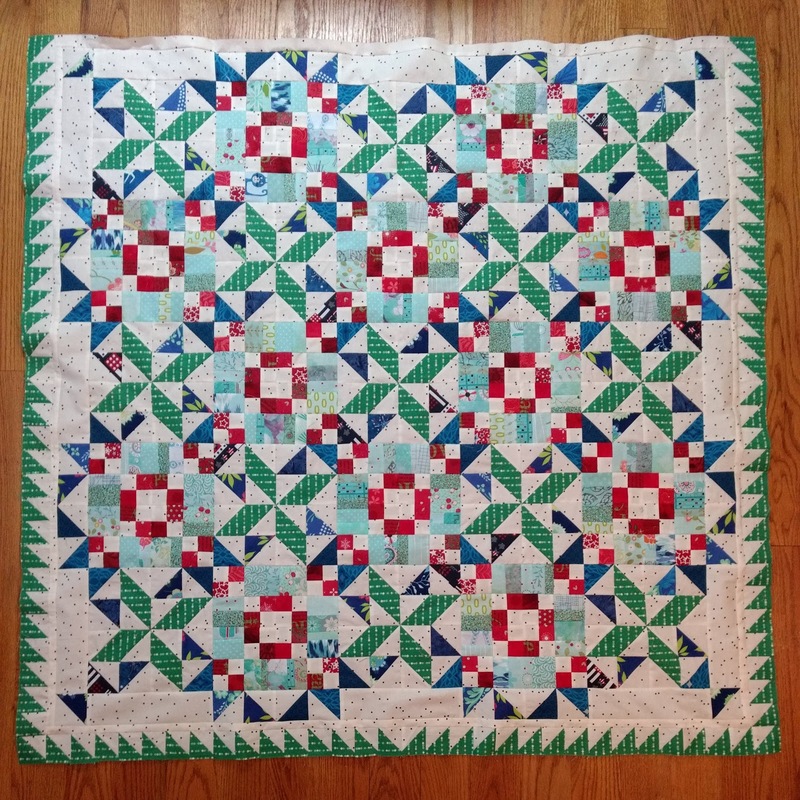 If you or someone you love is interested in purchasing a quilt that you've seen on Little Bunny Quilts, please email me (littlebunnyquilts@gmail.com) because I am willing to part with many of the quilts I have made in the last two years. It is not cost-effective for me to list everything that I'm willing to sell on Etsy with their current listing fee structure. Click on the "Finished Quilts" tab above to see finished items. The fact that you are even getting to pet fabrics is awesome!! Moving is one of the most horrid things in the world...totally draining you of your energy! Glad to hear that you are mostly settled into your new place and can get back to stitching. Hope you can fit in some dedicated sewing time this weekend.